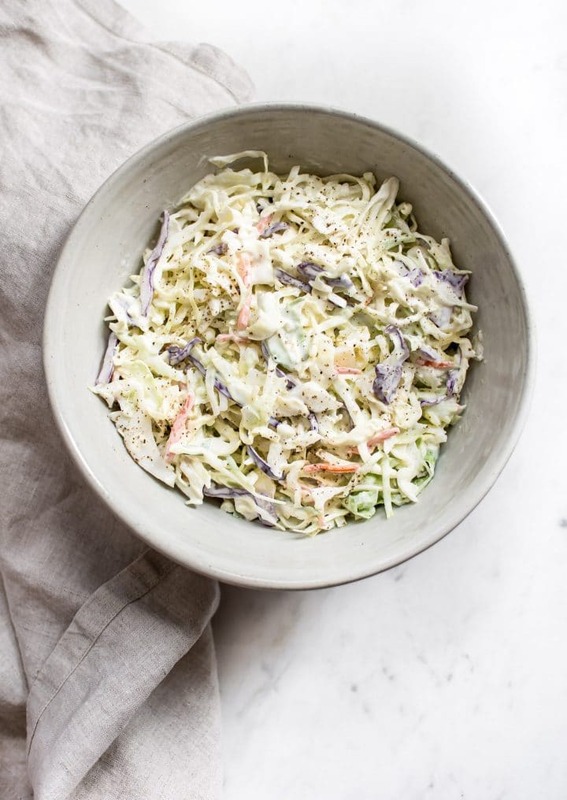 This creamy coleslaw recipe is the perfect side dish for BBQs, picnics, or sandwiches. This version is really quick and easy, and the dressing is made from scratch with pantry staples. Ready in 10 minutes! Ah, coleslaw. 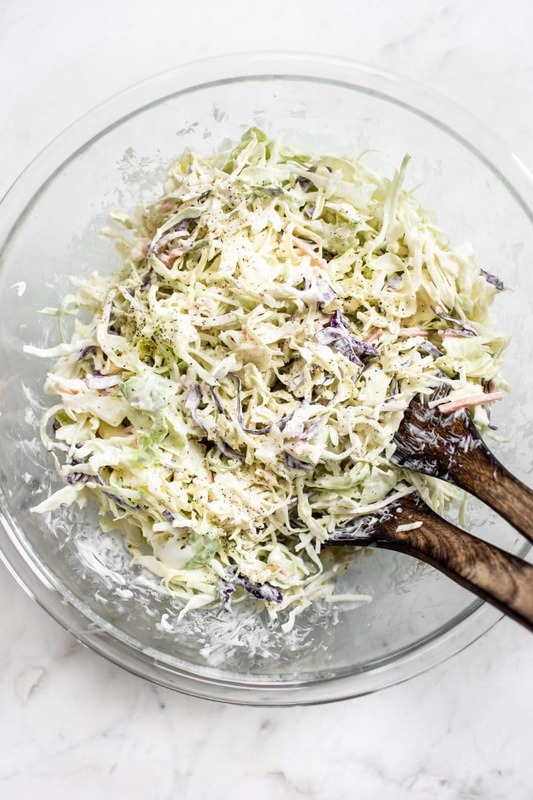 There’s like a billion coleslaw recipes out there, and I am adding one more. 😛 I got the idea when I made my Instant Pot pulled pork a few weeks ago since I don’t yet have a coleslaw recipe on the blog. 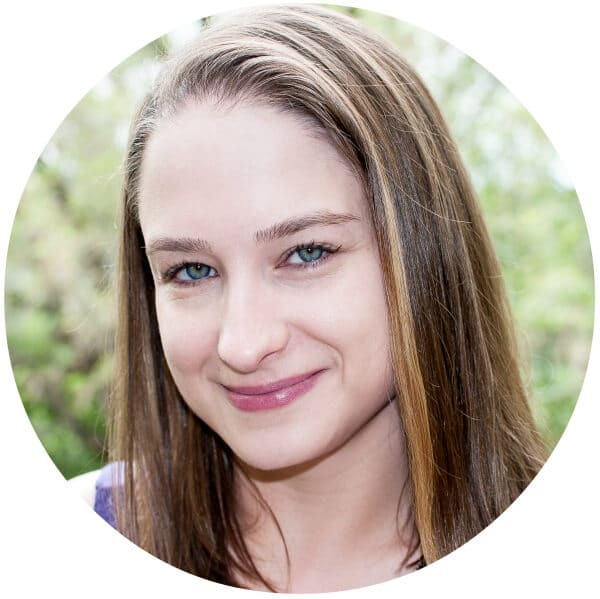 If you make that (you should… I can’t stop thinking about it! ), top it with this slaw. 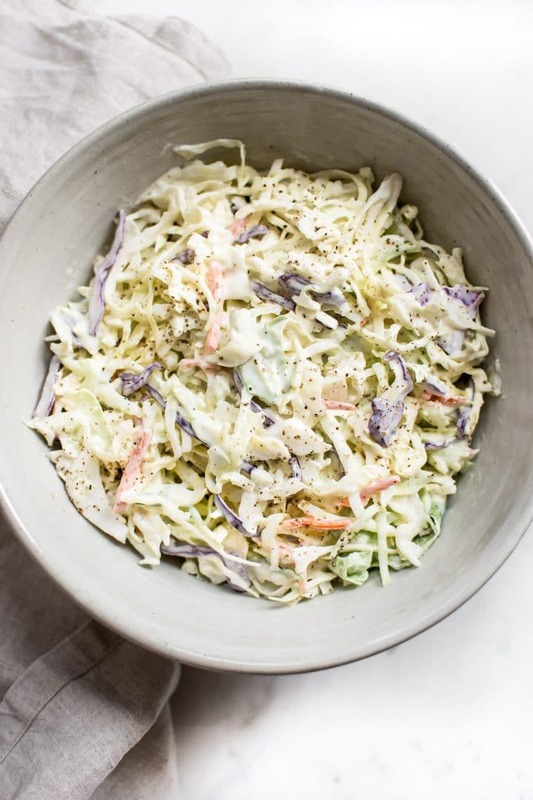 This coleslaw salad recipe is creamy without being too rich, and (to me anyway), it has the perfect balance between tanginess and sweetness. The dressing is super easy to adjust if you want it a touch sweeter on more tangy. 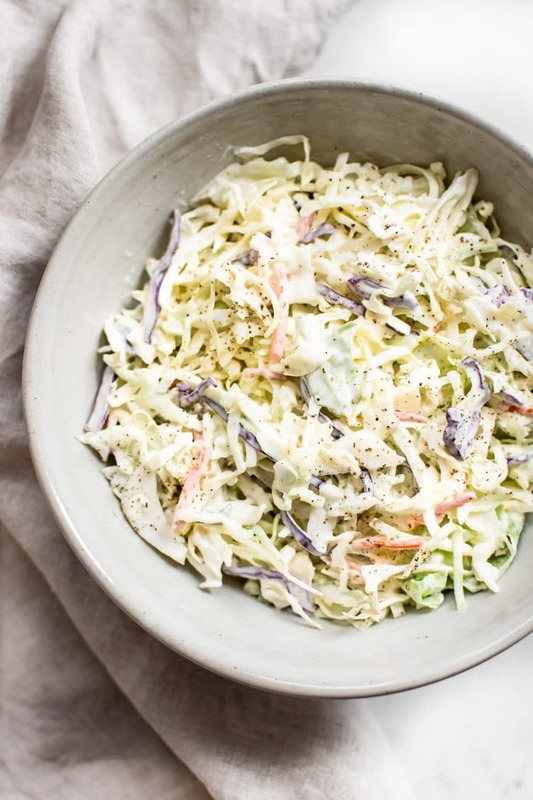 I really like this basic coleslaw recipe because it’s not too involved. You don’t need to chop cabbage. The dressing isn’t fancy. It’s just good, old-fashioned, classic coleslaw. Add the mayo, Greek yogurt (or sour cream), sugar, vinegar, onion powder (optional), and salt & pepper to a bowl and whisk together until smooth. Give it a taste and adjust as needed to suit your taste buds. Some coleslaw recipes include onions; this one doesn’t, but I do add a bit of onion powder to the dressing to make up for it. Feel free to leave it out if you wish. This simple coleslaw recipe can be made hours ahead if needed, so it’s perfect for bringing to all your summer events. Will you give this easy coleslaw recipe a try? Let me know in the comments below if you have any questions. Add the mayo, Greek yogurt, sugar, vinegar, onion power, and salt & pepper to a small bowl and whisk together until smooth. Give it a taste and adjust ingredients if needed to suit your tastes (e.g. add more sugar or vinegar). Add the coleslaw mix to a large bowl. Pour the dressing over top and toss until combined. Season with extra salt & pepper as needed. Coleslaw can be served immediately or chill it for a few hours first. Calorie information is provided as a courtesy only and should be construed as an estimate rather than a guarantee. You may also like my easy apple slaw recipe. Hi Lucille! I used Greek yogurt. Really either one would be fine, though. My apologies… I see I put garlic powder in that one spot. It’s supposed to be onion powder. Hope you like the recipe!